Requiring a pen drive to thumb lots of photos- I know I would need to get at least 16GB. 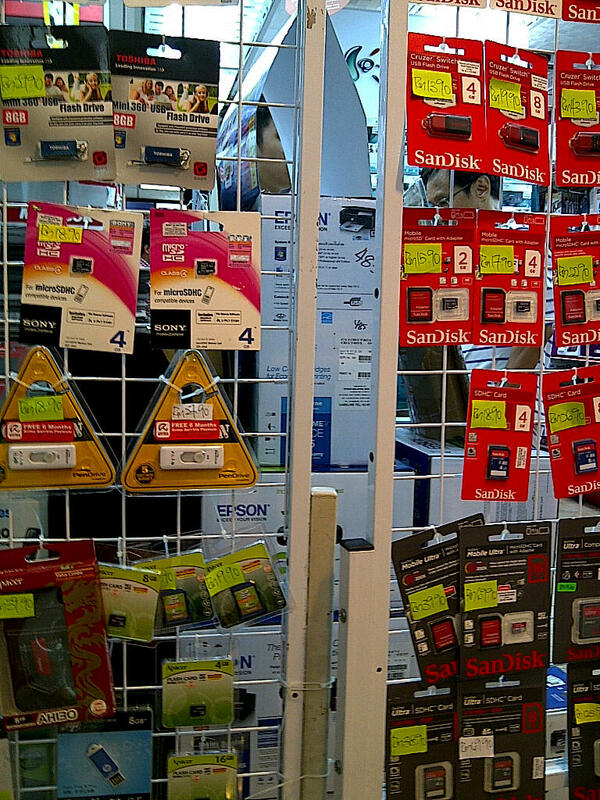 And I know if the price would be cheapest either from PIKOM PC Fair, Low Yat or Digital Mall. I opted for Digital Mall and noted some thumbdrive of brands Toshiba, Sandisk and Kingston are on offer by AONEPlus located on the 2nd floor. Could be PC fair is coming, so they want us to buy from them first. 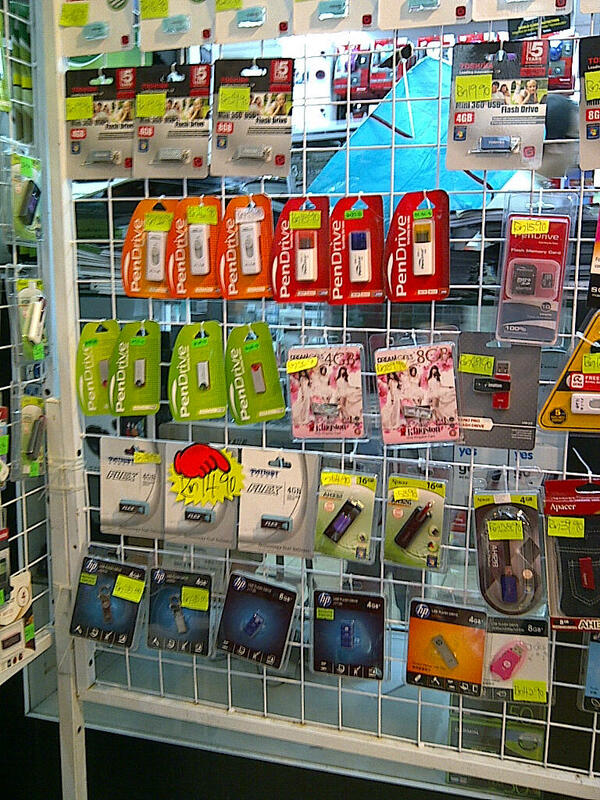 The following are flashdrives (or thumb or pendrive) of various brands. 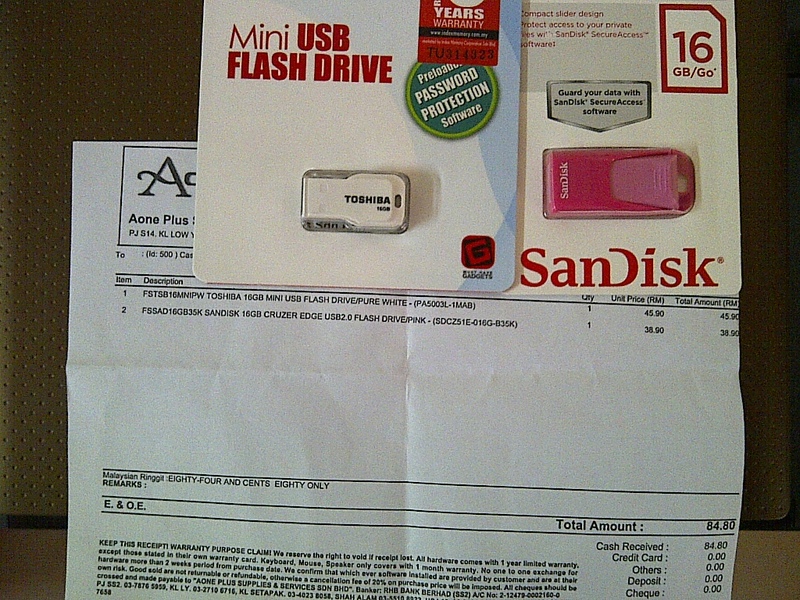 Quite cheap from the RM48 for a 8GB Kingston that I asked someone to buy for me at last year’s PC fair. The price had really gone down again.